You can Check your Internal Assessment Entry Details at any time. No restriction as 6:00 PM to 7:00 AM. 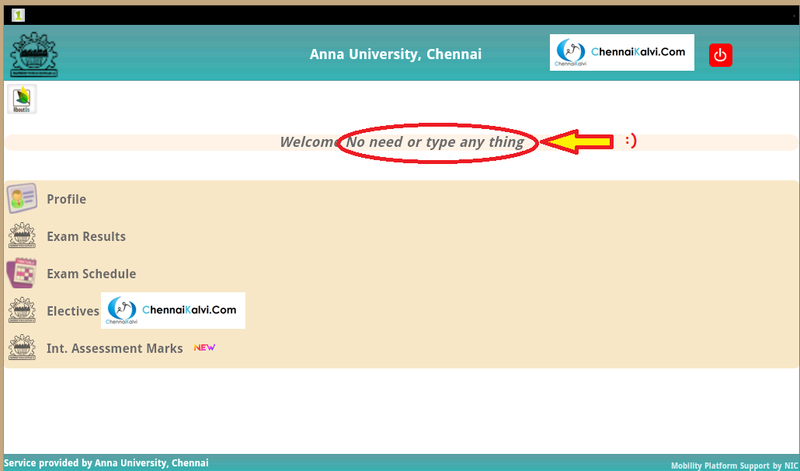 Normally you can check the Internal Assessment Entry Details thru http://coe1.annauniv.edu from 6:00 PM to 7:00 AM only. And you must know the Register Number and Date of Birth for check the Details. So you can't check your friends details without knowing their date of birth. But AU-COE have one more option to serve the students for check their Profile, Result, Exam Schedule, Elective Paper Details and Internal Assessment Marks. You can install the Students Corner Android App on your Android Mobile or Computer. 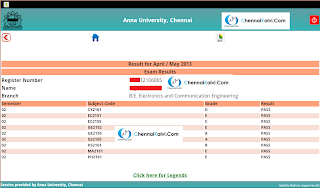 From this Application you can check your details by just entering the Register Number. Here there is no need of Students' Date of Birth / Name. And here no time restriction like 6:00 PM to 7:00 AM for Internal Assessment Reports. You may Check the following images. It will explain the entire story. You can select the Link to check the details. This page is will appear, when You click the "Exam Schedule" Link from Screen 2. This page is will appear, when You click the "Elective" Link from Screen 2. The Elective Papers are available for Final Year Students only. This page is will appear, when You click the "Int.Assessment Marks" Link from Screen 2. This Internal Assessment Marks page is always available without time restriction. But, here the latest Assessment Report only available. Therefore currently you can check the Final Assessment Report (Internal Assessment Report - IV) only. If you feel this page is very useful please share this page with your friends.